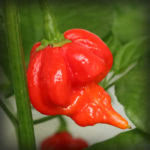 Introduced in 1965, the Santa Fe Grande pepper, also known as “Yellow hot chile pepper” and the “Güero chile pepper”, is a very prolific variety used in the Southwestern United States. 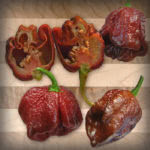 The conical, 4 inch blunt fruits ripen from a pale yellow to a bright orange or fiery red. 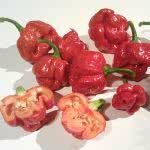 Makes a great ornamental plant for the garden. 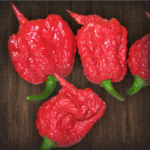 TASTE: Santa Fe Grande peppers have a slightly sweet taste and are fairly mild in heat.